For the first time this year, the Chicago Cubs will play at Miller Park. After dropping two of three to the Astros, the Crew enters the series with a bit of a limp. But nothing helps a team get upright like good pitching and the two aces, CC Sabathia and Ben Sheets, will kick off the most anticipated regular season series of the year. As excited as everyone is about the showdown, remember, it’s only July. The Brewers and Cubs will play 10 more times the rest of the year. The Cubs are 22-30 on the road and have lost 13 of the last 19 away from Wrigley. Since April 22, CC Sabathia is 10-5, 1.97, best in the Majors. Ted Lilly’s road ERA is 3.48 (5.34 at home) and since June 1st (5gs), it’s 2.23. These teams own the best two records in the National League. Milwaukee leads the season series 4-2, with all six games played in Chicago. While the Brewers have won seven straight and nine of their last 10 on the road, they are just 4-6 in their last 10 home contests. Chicago averages 6.2 runs per game at home, versus 4.3 on the road. Only the Rockies have a larger difference between their home and road scoring. Alfonso Soriano is batting .405 in nine career games at Miler Park (17-for-42), with three home runs and eight RBI. CC Sabathia is 4-0 with three complete games and a 1.36 ERA since his trade to Milwaukee. In his only career start against the Cubs (June 21, 2006), Sabathia allowed a career-high-tying nine earned runs in 2.1 innings. In 10 games since the All-Star break, Ryan Braun is hitting .452 (19-for-42) with five homers and 14 RBI. Braun is hitting .407 vs the Cubs. You can watch all four games on FSN Wisconsin (HD the first three games) with John Walsh producing and Michael Oddino directing. A 7-0 road trip, best in franchise history. A four game sweep and three final at-bat wins in St. Louis, a franchise first. Of the nine wins versus the Cardinals, Ryan Braun’s dramatic game winning homerun Thursday night was the sixth final at-bat victory against the Redbirds. The Crew leads MLB in that category with 19. Ryan Braun has hits in eight consecutive official at-bats with one walk…giving him nine straight plate appearances on base. He is putting up MVP-type numbers with plenty of baseball left. Entering the Astros series, Braun is among league leaders in a number of major National League categories: Total Bases (1st), Extra Base Hits (1st), HR (3rd), Hits (3rd), Triples (4th), RBI (6th), SLG % (6th), and has zero errors in LF with 6 outfield assists. The Brewers have homered in 20 consecutive games (31 total), a franchise record. Friday night begins a key seven game homestand versus the Astros and Cubs. All seven games are expected to be sellouts…way to go Milwuakee! The Brewers have dominated their recent home contests against the Astros, winning 10 of the last 11 meetings between the clubs in Milwaukee. 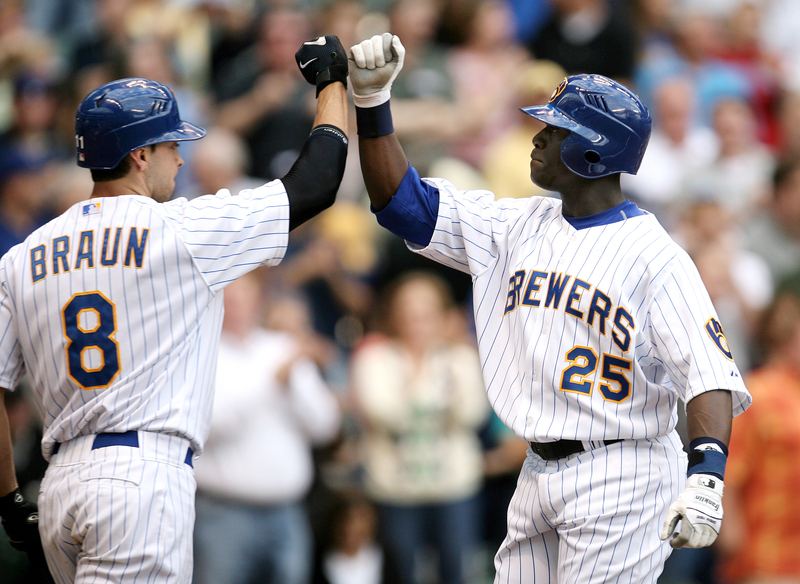 The Brewers (59-43) are 16 games over .500 for the first time since the end of 1992 season when they finished 92-70. The Astros have committed just seven errors (the fewest in the majors since June 17) over their last 31 games. The Astros have already stolen 89 bases this season, more than they stole all of 2006 (79) and 2007 (65). Ryan Braun is hitting .352 (62/176) with 14 home runs against the NL Central this season. Wandy Rodriguez has allowed just four earned runs in five games against divisional opponents this season. Friday and Sunday’s game will be on FSN-HD. Saturday’s contest is on WMLW in Milwaukee. All three games will be produced by John Walsh, and directed by Michael Oddino. Brian Mikolajek will handle calorie intake. Coming off a three game sweep of the Giants in San Francisco, the Crew is in the Lou to begin a key four game series with the Division rival Cardinals. The flight to St. Louis had a new passenger Sunday night. Ray Durham boarded the Brewers charter dressed to the nine’s and was all smiles after he agreed to a trade that put him squarely in the middle of a hot pennant race. Durham held the cards in the trade. Because he’s been in the league more than 10 years, five with one team, he owned a no-trade clause in his contract. He waived the clause to join the Crew which tells you all you need to know about his commitment to being a Brewer. Durham is a two-time all star now in his 14th year in the Major Leagues. 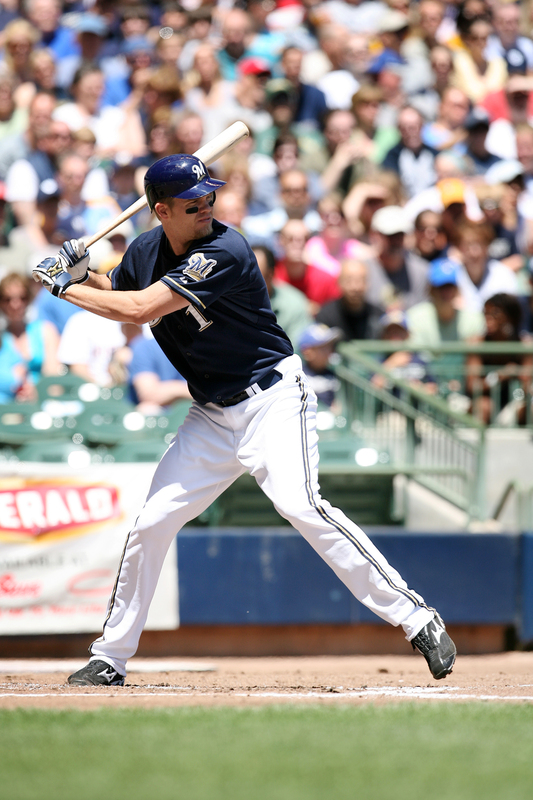 He immediately becomes the Brewers batting average and on base percentage leader. Even though he’s a switch hitter, it’s his left handed bat the Crew is counting on. Durham is hitting .318 left handed this year (.221 RH). He’s been through a trade deadline deal in the past. In 2002, Durham was traded from the White Sox to Oakland and helped the A’s make it to the post season. The Brewers lead the season series, 5-4. St. Louis has won five straight and six of seven overall, averaging 8.3 runs and 2.1 home runs per game in those seven contests. The Crew is 32-16 since May 26, the best record in the majors over that span. 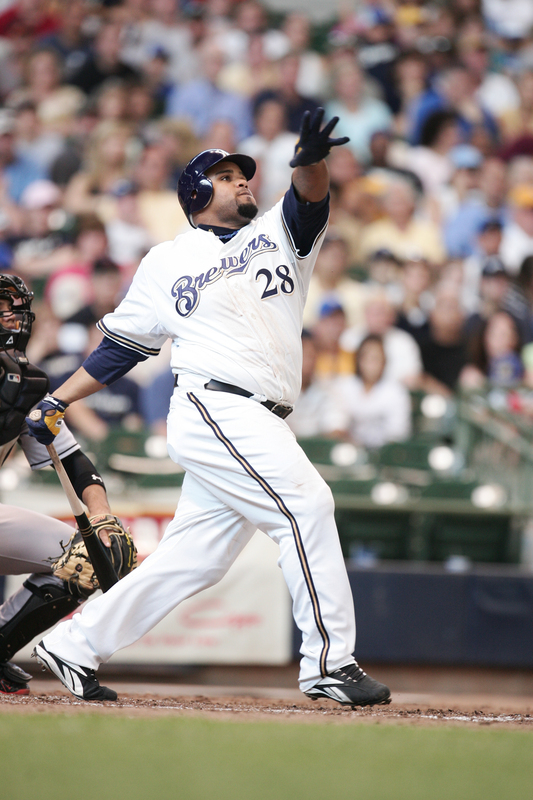 Prince Fielder has hit safely in 12 of his last 13 games, with four HR and 14 RBI. In his career against the NL Central, Seth McClung has a 3.86 ERA and .183 batting average allowed, versus a 5.90 ERA and .267 BA allowed versus all other teams. Albert Pujols ranks among the active career leaders in home runs (26, 3rd), RBI (97, 2nd) and batting average (.353, 2nd) versus the Brewers. The Brewers have hit at least one home run in every game so far this month and in 16 games in a row. They are on pace to hit 213 homers this season, which would be the third most for any season in team history. Brewers starting pitching has been outstanding since June 1st, compiling a 22-10 record and a 3.35 ERA. Through 98 games, the Crew has exactly the same record (55-43) as last year with eerily similar numbers across the board. 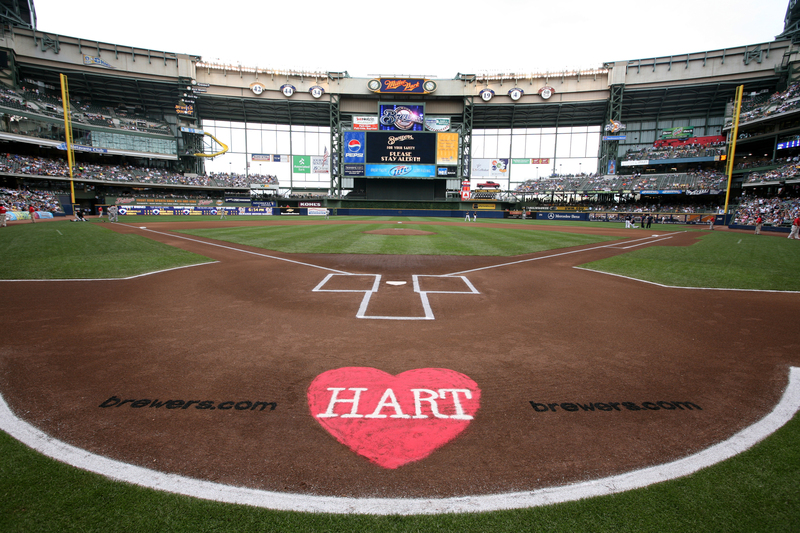 Congratulations to Corey Hart on his All Star bid and congratulations to all Brewer fans who voted. What an amazing week. Ryan Braun (an All Star starter), Ben Sheets returning to the mid-summer classic, the CC trade, JJ Hardy named Player of the Week, a 5-2 homestand and Corey Hart voted in. Milwaukee is truly the small market making big noise! Should be fun to see Bruan, Sheets and Hart do their thing at Yankee Stadium. – Cincinnati and Milwaukee have split six games played in 2008 with each taking two of three away from home. – The Reds have won five of their past seven games. In their last win, the Reds gave up seven runs, their fourth victory of the season when giving up at least seven runs. 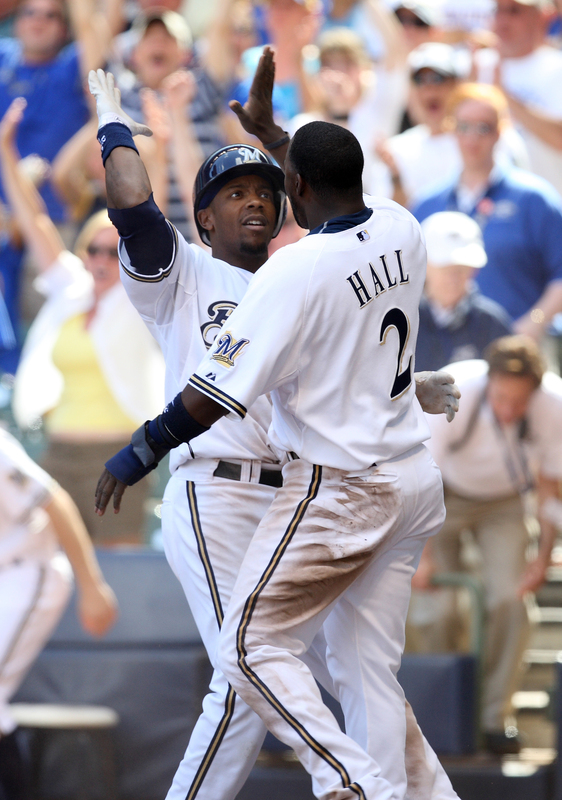 – The Brewers have won five of their last seven contests and are 28-14 in their last 42 games. – Milwaukee’s 28-14 record in games since May 26 is the best in Major League Baseball in this span. – In his last seven games, Adam Dunn is slugging .731 (19/26) with four home runs, four runs scored and six RBIs. – In his last 11 games, J.J. Hardy is batting .489 (22-for-45), slugging 1.067 (48/45) with five doubles, seven home runs, 11 runs scored and 14 runs batted in. – Homer Bailey will start Sunday’s game replacing Aaron Harang, who was scratched with a strained right forearm. RHP Aaron Harang (tight right forearm) was scratched from his scheduled start July 5, but he started July 8 at Chicago. An MRI revealed a strain, and he will be placed on the 15-day disabled list retroactive to July 9. OF Ryan Freel (partially torn right hamstring) went on the 15-day disabled list June 4. He is out indefinitely. OF Norris Hopper (torn ligament in right elbow) went on the 15-day disabled list July 2. He underwent season-ending Tommy John surgery July 8. SS Alex Gonzalez (compression fracture in left knee) opened the season on the 15-day disabled list, and he was transferred to the 60-day DL on May 28. He suffered another setback June 6 when he limped off the field after trying to run. He had season-ending surgery July 7. For the Brewers off the field, I’m proud of Mike Cameron, who treated 1,700 YMCA kids to a game on Thursday as part of the YMCA of Metropolitan Milwaukee’s 150th anniversary. Not only did he purchase game tickets, but took care of trasportation as well. I’ve been on a few projects with Cameron and he is a first class person in the community. Today is no ordinary Monday. Today is a monumental moment in the history of a beloved franchise. Twenty six years without a playoff appearance. A generation of fans who’s July’s have mostly meant the exodus of their biggest stars. 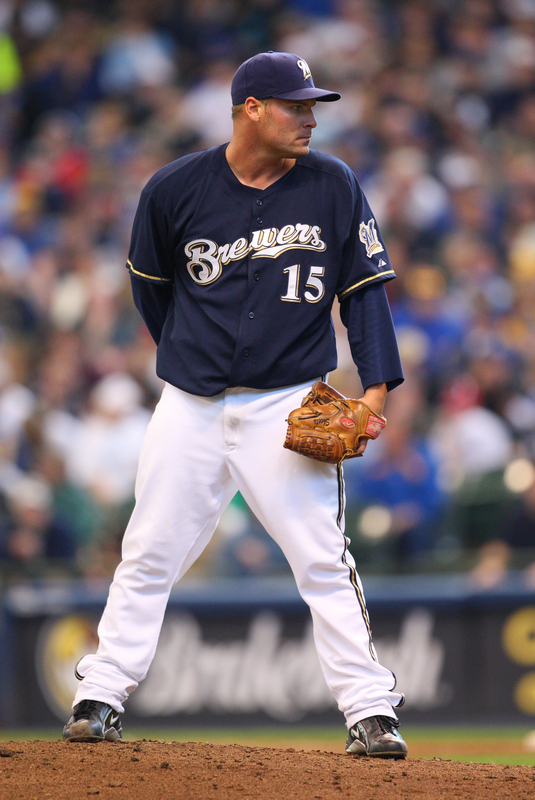 Today, the Brewers were buyers…acquiring one of baseball’s premier pitchers. A Cy Young arm joins a red hot ballclub, creating one of the game’s most powerful 1-2 punch. What happens from here on out is unknown. What happened today, proves this franchise means business. 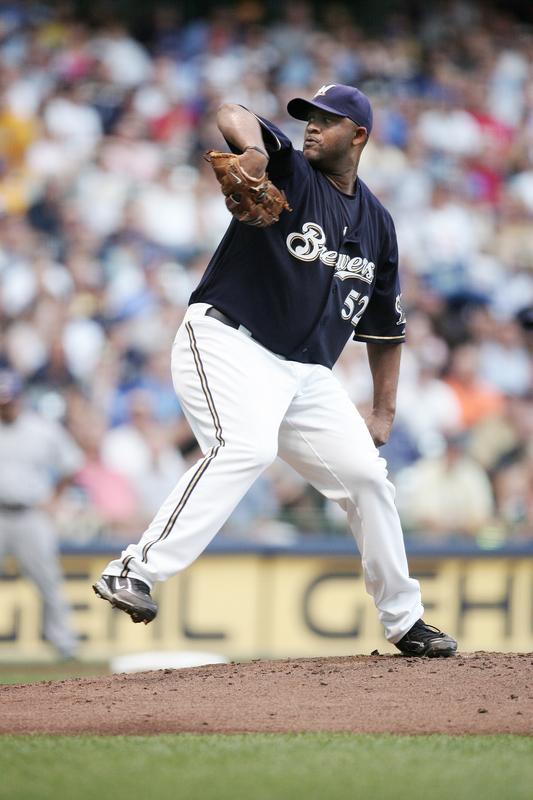 Today, CC Sabathia is a Brewer! The future is now, let the chase begin!